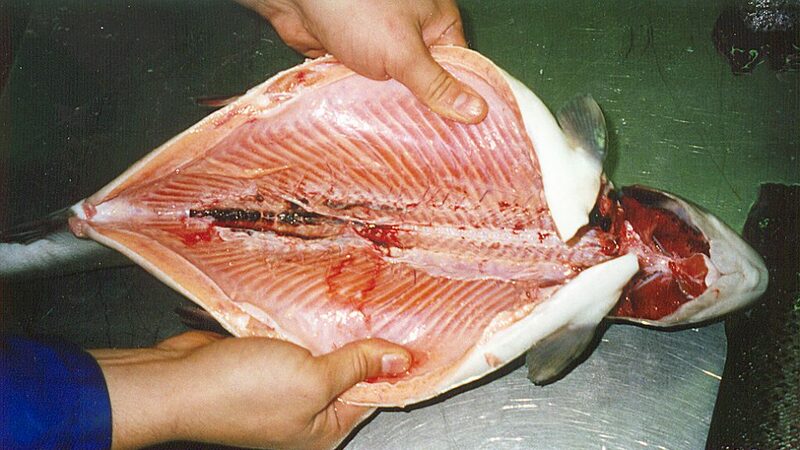 Pisces eviscerating equipment removes the loose viscera and the bloodline kidney from the fish. 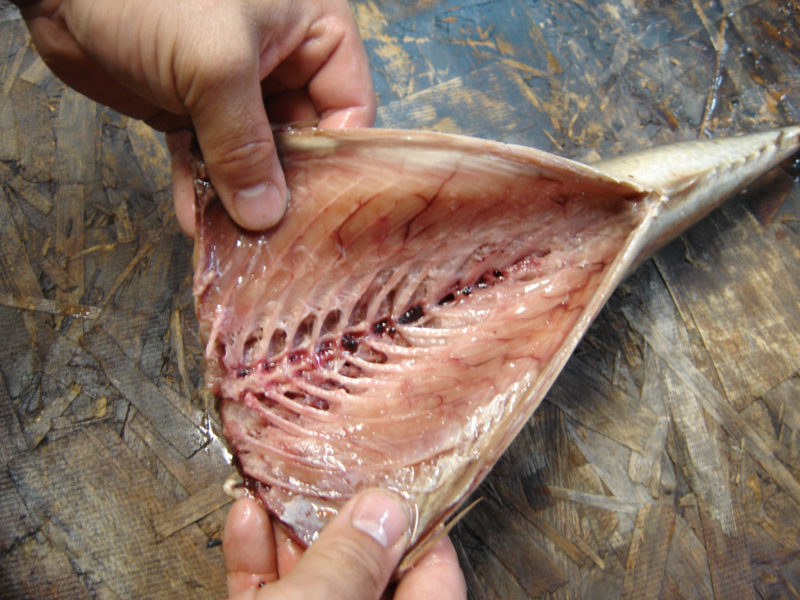 This is accomplished by using spinning wheels and brushes to scrub the belly cavity of the fish clean. 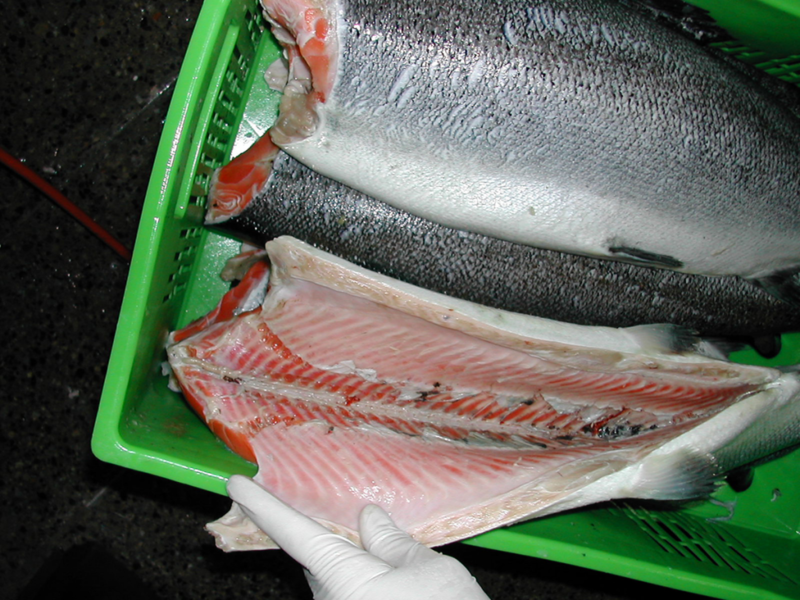 The machines have the option to save the roe, process the fish head-on or head off. The DC-18 produces a clean bloodline and viscera free from a head-off fish. A blade opens the fishes belly then a series of wheels or brushes clean the fish. The machine can be configured to work with all most all head-off fish. Depending on configuration the DC-18 will work for fish under 5 lbs. (2.5 Kg). A splitting blade can be added to aid in further processes such as mincing. The Pisces SGA-22 produces a clean gutted fish from a head off fish. The SGA can process fish from 2lbs to 16lbs. The SGA removes the viscera in one solid piece with out damaging the viscera or any roe. The machine also cleans and removes the blood line/kidney from the fish. The Pisces SGA-32 has been used to produced head-on gill in fish. The SGA can process fish from 2lbs to 16 lbs. The SGA removes the viscera in one solid piece with out damaging the viscera or any roe. The machine also cleans and removes the blood line/kidney from the fish. 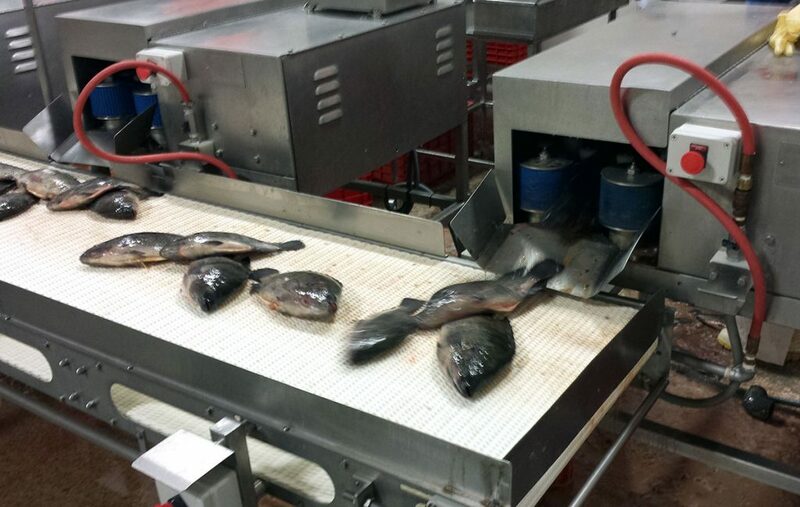 Using Pisces BC-11 Belly opening machine in conjunction with manual vacuum gutting table, the line can produce head-on gutted fish from both multiple species over a large size ran with minimal adjustment.